EB-5 Capital Redeployment: Now what? 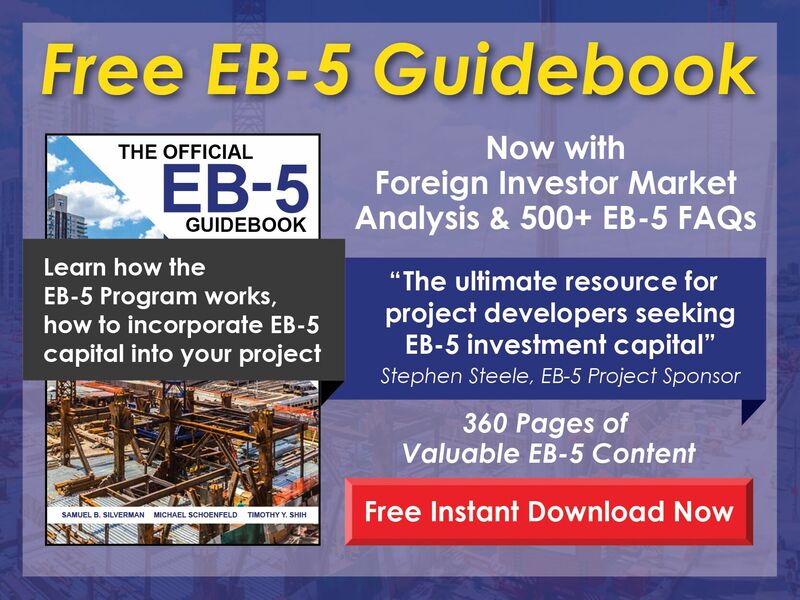 How Should I Evaluate an EB-5 Construction Project? 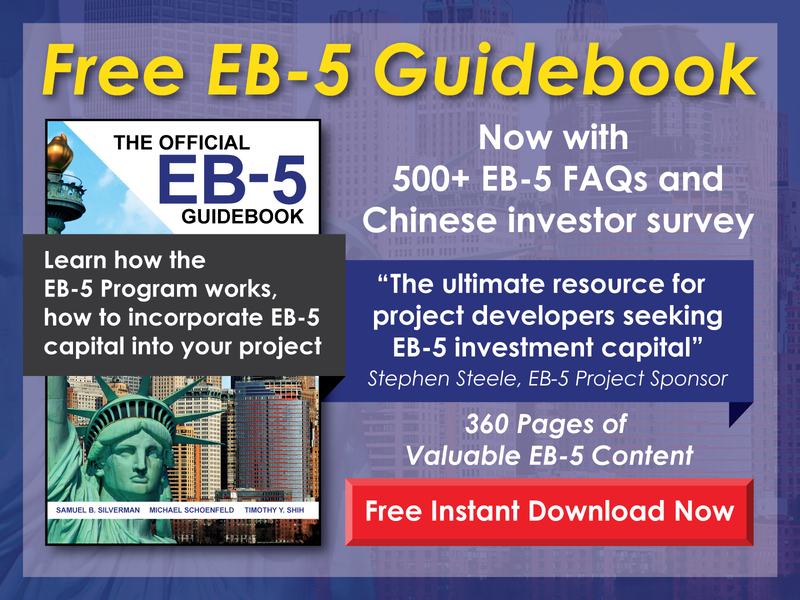 What Makes a Good EB-5 Project? What is an I-526 Petition? What is an I-829 Petition? Any commercial business can apply for designation as an EB-5 regional center. To do so, the business must file Form I-924, Application for Regional Center under the Immigrant Investor Pilot Program, to U.S. Citizenship and Immigration Services (USCIS). Through Form I-924 and any accompanying documentation, the applicant must demonstrate that the proposed regional center will promote economic growth in the region by creating jobs through the investment of foreign capital. The economic impact of the regional center must be demonstrated using reasonable methodologies that are economically or statistically valid. As part of the I-924 process, the applicant must also propose an EB-5 project. The type of project will determine the level of documentation required to accompany Form I-924. EB-5 projects are classified as hypothetical, actual, and exemplar, and each is described in greater detail below. Hypothetical EB-5 project proposals are suited to businesses who want to apply for regional center designation but do not yet have shovel-ready projects. Generally speaking, a hypothetical project proposal is used when a business seeking regional center designation knows it will develop projects within a certain geographic and industry scope, but the exact details are not yet finalized. As a result, hypothetical projects may or may not come to fruition but are representative of the projects a business plans to pursue as a regional center. With an EB-5 regional center designation by USCIS, a business entity will be able accept EB-5 investments once its actual projects are ready. Hypothetical EB-5 projects must contain specific business proposals with supporting documentation that demonstrate a likelihood that the regional center will have a positive effect on the region’s economy, productivity, and employment, and that it will encourage increased investment of capital into the area. Becoming a designated regional center based on a hypothetical project does allow the applicant to accept EB-5 investments, but subsequent filings (e.g., an investor’s I-526 Petition or an amended I-924) will be treated as new cases. This means that new investors’ I-526 Petitions will be evaluated and approved individually even if the EB-5 regional center has already been approved. According to a recent, non-precedent decision by the Administrative Appeals Office (AAO), hypothetical project proposals do not require letters of intent or commitment from investors. Also, USCIS will not perform compliance reviews on any organizational or transactional documents submitted along with a hypothetical project proposal. USCIS performs compliance reviews on exemplar project proposals only. Furthermore, USCIS does not require hypothetical projects to be accompanied by business plans that meet Matter of Ho criteria—only that they include basic proposals and generalized predictions. While the requirements for hypothetical project proposals are not as strict, best practice would be to include a business plan that is nearly or fully compliant with Matter of Ho. Actual project proposals are suited to businesses who have shovel-ready projects but who also want to maintain some flexibility in regard to their business plan, economic report, and offering documents. This flexibility allows small changes to be made to these supporting documents with I-526 Petitions as long as the changes are not material. Also, while USCIS requires more detailed documentation for actual project proposals as compared to hypothetical projects, such proposals are not as complicated as exemplar project proposals. Actual projects are those in the advanced stages of development and are, by implication, ready to begin construction and have a positive impact on the economy. USCIS requires a proposal for an actual project to include clear, specific evidence regarding how the project will meet the requirements of the EB-5 program. To this end, a proposal for an actual project must be accompanied by a credible, Matter of Ho compliant business plan. The application must include sufficient evidence that the proposal is supported by economically sound forecasting methodologies. In addition to the Matter of Ho compliant business plan, an actual project proposal must include economic analysis, the actual structure of the capital investments, evidence of funds committed to the capital stack, feasibility studies, any required permits and licenses, and other documentation proving that the project is, indeed, shovel ready. A USCIS determination based upon an actual project proposal will be given deference for subsequent I-526 Petitions. In other words, a favorable determination by USCIS based on an actual project proposal will likely result in favorable determinations in the future for filings that consist of the same material facts. In the event an actual project proposal is denied by USCIS due to insufficient verifiable details, the applicant can elect to have USCIS re-review the project proposal as a hypothetical project. In addition to these criteria, compliance with Matter of Ho requires comprehensive business plans to be credible. Exemplar project proposals are suited to businesses who are totally committed to their projects and desire the greatest level of certainty with future EB-5 investor filings. An exemplar project proposal involves all the elements of an actual project proposal, including a complete, comprehensive Matter of Ho compliant business plan, but also includes a template Form I-526. This template I-526 Petition is a sample Form I-526 for an unnamed investor, but it is otherwise complete and includes all necessary project documentation. When an exemplar project is approved, investors can file their I-526 Petitions with much greater certainty because the only documents that will require USCIS approval are their source of funds documents—though in some cases USCIS does review all project documentation. Once an exemplar project proposal is approved, actual investors may file their I-526 Petitions with greater certainty—their I-526 filings can be considered pre-approved as long as their supporting documentation is not materially different from that of the exemplar project proposal. Typically, the only documents requiring USCIS approval are the investors’ source of funds documents, though USCIS occasionally reviews all project documentation with an investor’s I-526. For exemplar projects, USCIS conducts a compliance review that evaluates the organizational and transactional documents to ensure compliance with EB-5 regulations. Which Project type is Best? Of the three types of project proposals, hypothetical projects are generally only used today to get an initial EB-5 regional center designation approved (form I-924). Exemplar project proposals, on the other hand, are the most complicated because they involve both I-924 approval and I-526 approval, but they are the most attractive to potential EB-5 investors due to the level of certainty they provide of how USCIS will interpret / review the specific EB-5 project in question. Whether a business seeking regional center designation should submit a hypothetical, actual, or exemplar project proposal will depend on several factors. Without enough specific, verifiable details—or if elements of the project, such as location, size, and scope, are subject to change—a hypothetical project proposal is likely best. If the project has the necessary permits approved and is shovel ready, an actual project may be best. If the project proposal could be filed as an actual project but the details of the supporting documentation are fixed, an exemplar project may be preferable. Determining which project type is best for a business is complicated, and businesses seeking designation as EB-5 regional centers should consult qualified EB-5 professionals. Copyright © 2013-2019 by EB5 Affiliate Network, LLC. All Rights Reserved. Own a Regional Center Not Listed? Fill the form below to update in our database.